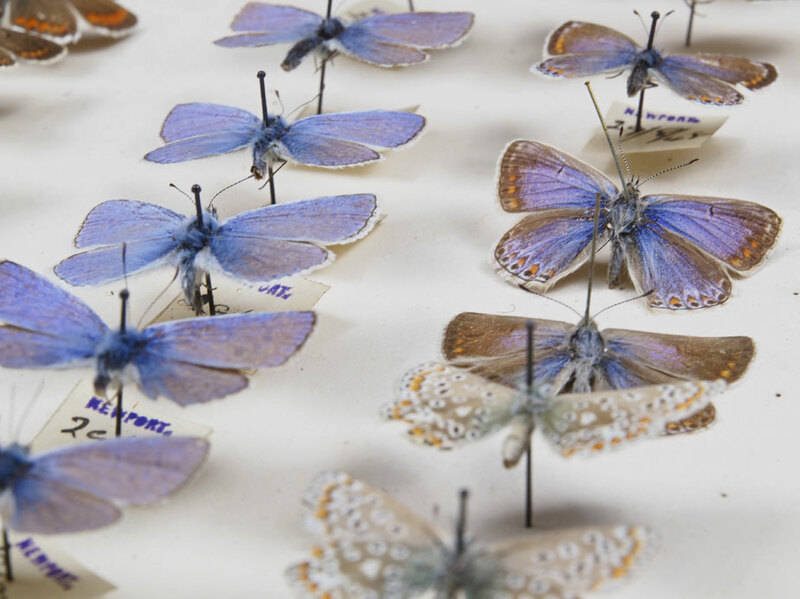 In the 19th century there were very few identification guides with good illustrations available so collections of set specimens were needed to check the identification of animals such as insects. 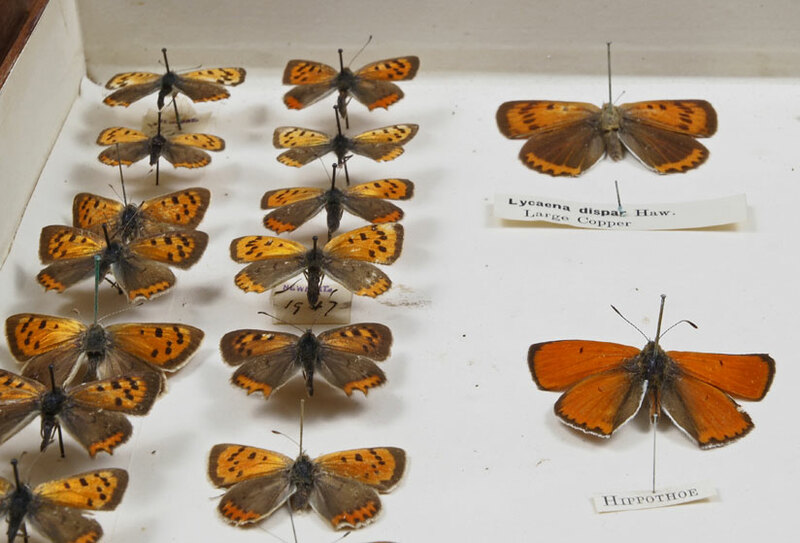 They were set out neatly in taxanomic order in wooden cabinets with the data labels attached to the specimen pin. 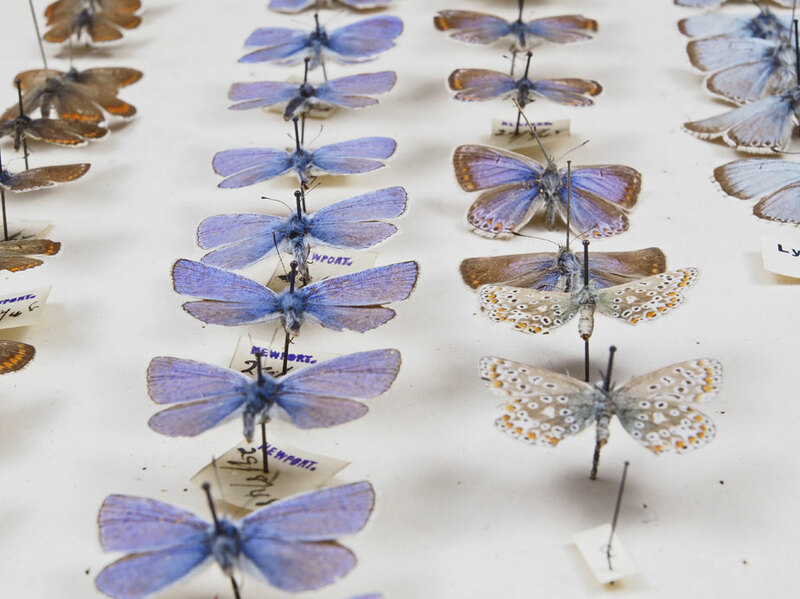 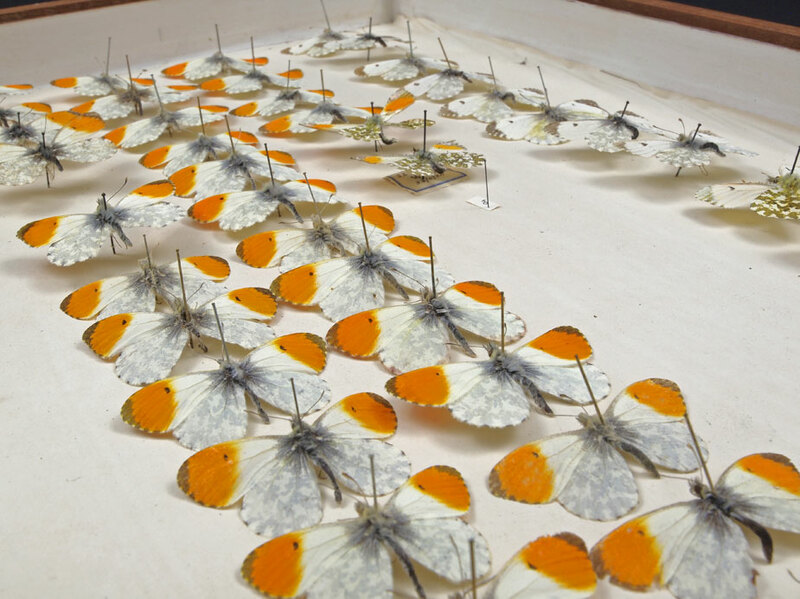 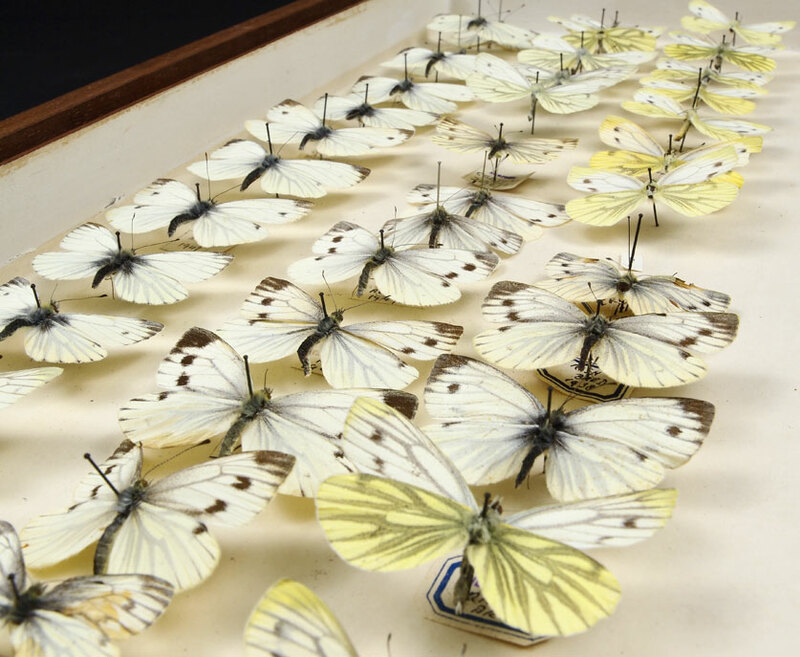 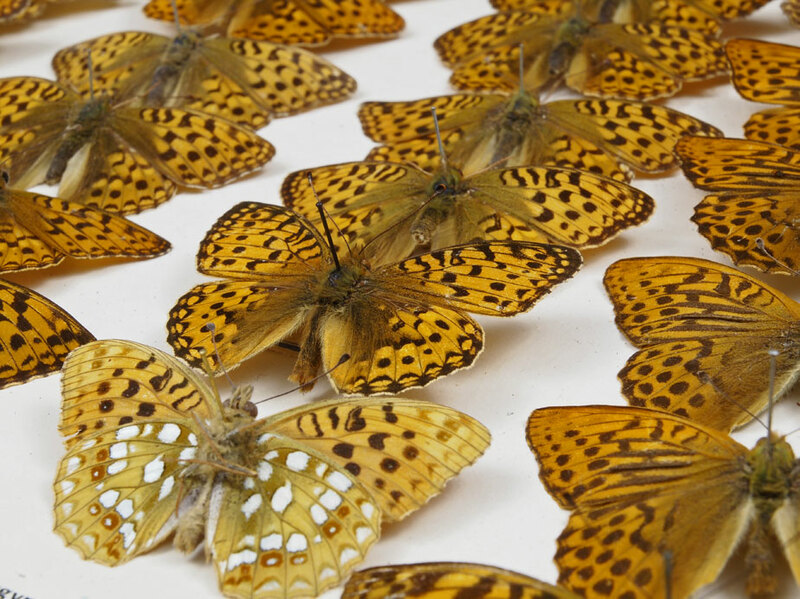 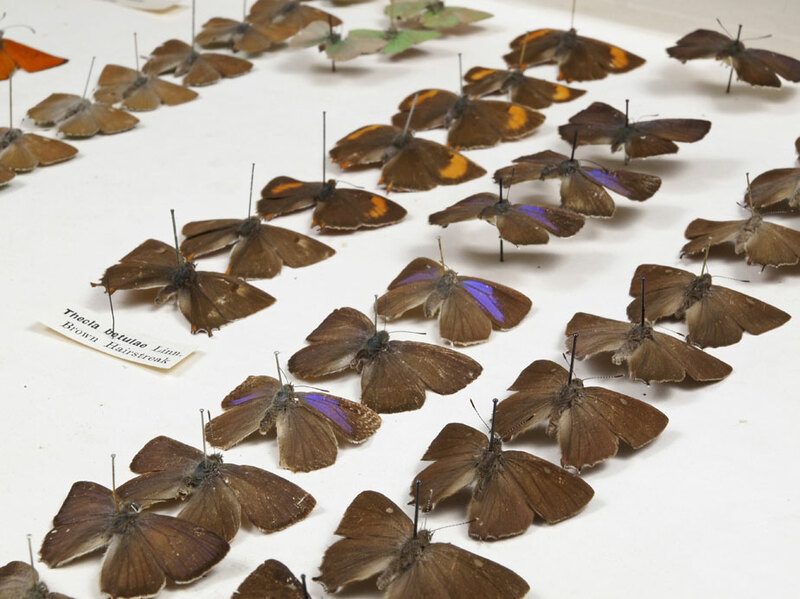 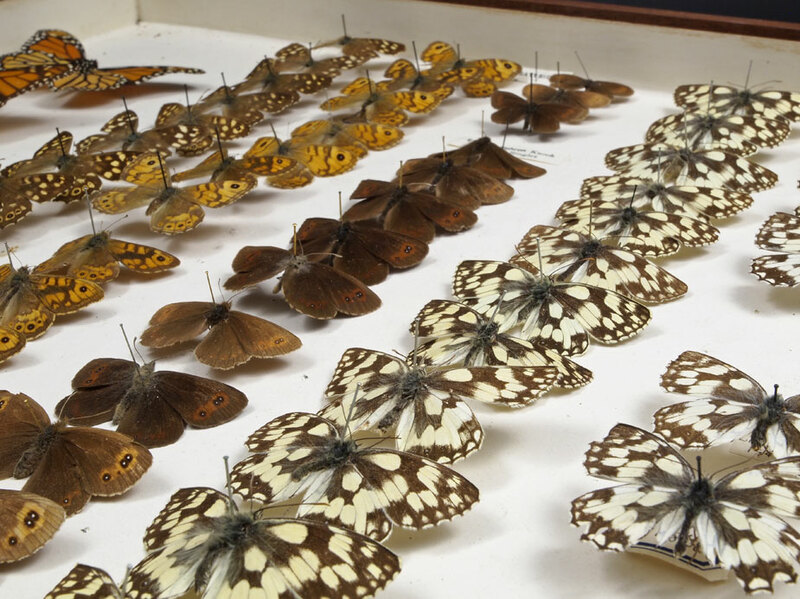 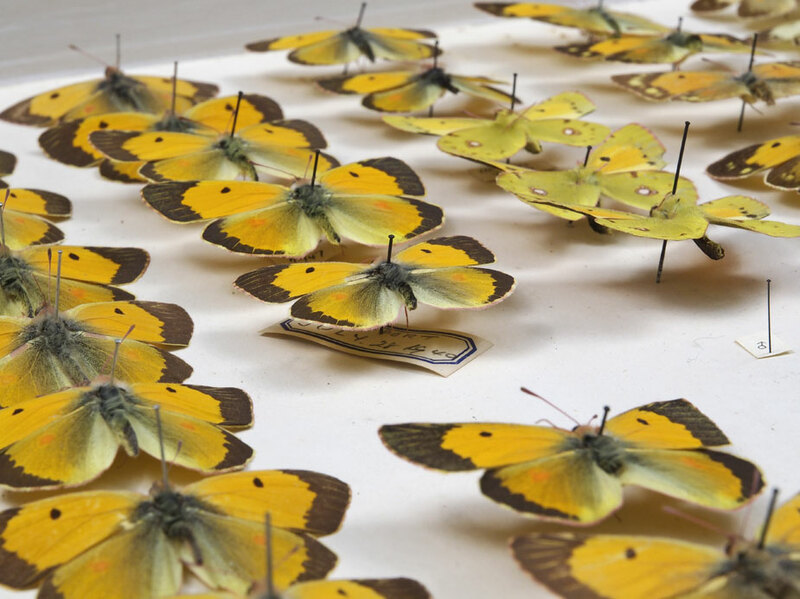 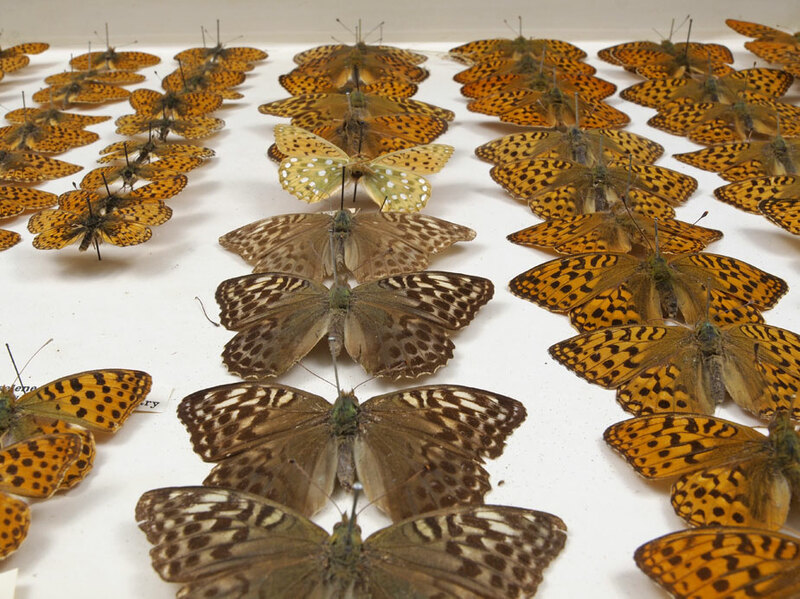 These old collections are vital in researching the changing distribution and status of insects.